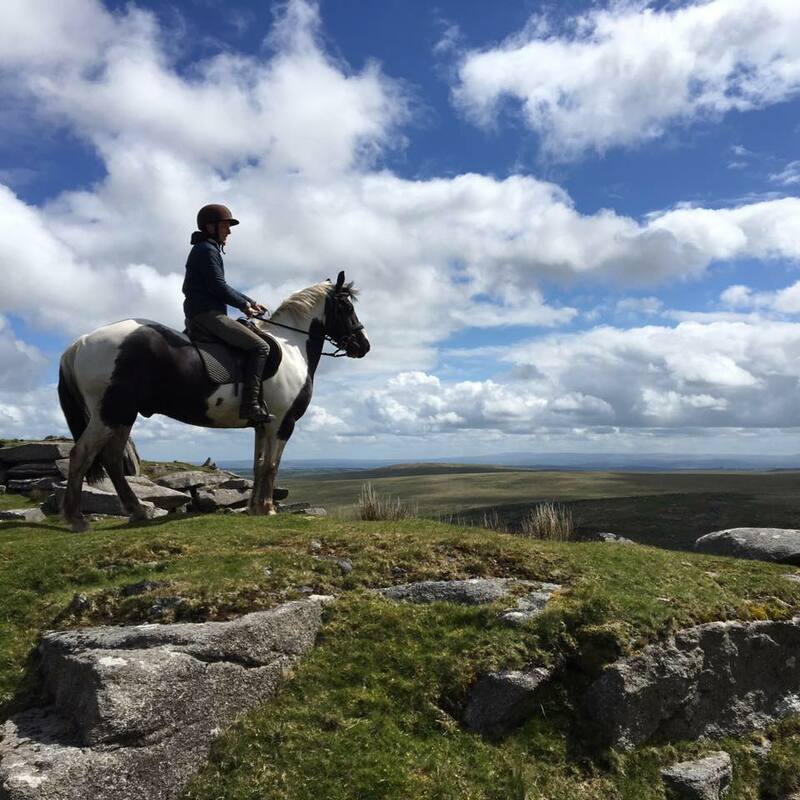 Our guided hacks and trails are designed to give experienced riders a truly exhilarating riding experience, covering some of the many different terrains to be found across Bodmin Moor. Rocky outcrops, streams, wooded valleys and mile after mile of open moorland are just waiting to be discovered! The one hour hacks include cantering in open spaces and are a fantastic way to explore one of the last great wildernesses in the UK. From £30 per person per hour. If you would like to try an even longer ride and really explore the Moor, then choose one of our Trail Rides from 3 – 8 hours. Click here to see the full list of our trail rides available, subject to weather conditions. We recommend you would need to be experienced in galloping in open spaces and we would need to assess you during a 2 hour assessment ride prior to booking you on a trail ride. Assessment from £35 per person per hour. We are also able to offer guided trail rides for those riders bringing their own horses at very special rates. Please call for more details. We offer riding holidays for experienced riders to explore this wonderful wilderness and to develop their riding skills. Please click here for more information on an Experienced Riding Holiday package.